Artist's rendering of a Boeing 702HP satellite, the bus on which MexSat-1 is based. After five years’ worth of development and a few launch delays, Mexico is about to have the first in a new series of satellites launched into orbit. It will be a flight conducted by International Launch Services (ILS) on a Russian-built rocket. Designed by the Boeing company, the Mexican Centenario, also known as MexSat-1, is scheduled for liftoff on Saturday, May 16, at 1:47 a.m. EDT (05:47 GMT) from the Baikonur Cosmodrome in Kazakhstan. The satellite is being launched on a Proton M rocket, which is equipped with a Briz-M upper stage. The Briz-M is designed to insert a large payload into a geosynchronous orbit. If all goes as planned, after a flight of just over nine minutes, the Centenario spacecraft will settle into a Geostationary Transfer Orbit (GTO). The craft should reach its final destination at 113 degrees west, in a geostationary orbit of 8,985 by 35,786 kilometers with an inclination of 20.1 degrees, in a little more than nine hours. The satellite is designed to expand coverage for Mexico, and it will be used for secure communications pertaining to Mexico’s national security. It carries transponders in the Ku and L bands. Power is provided by 2 five-segment solar arrays producing up to 14 kilowatts of energy, and the spacecraft weighs in at over 11,740 pounds (5,325 kg). 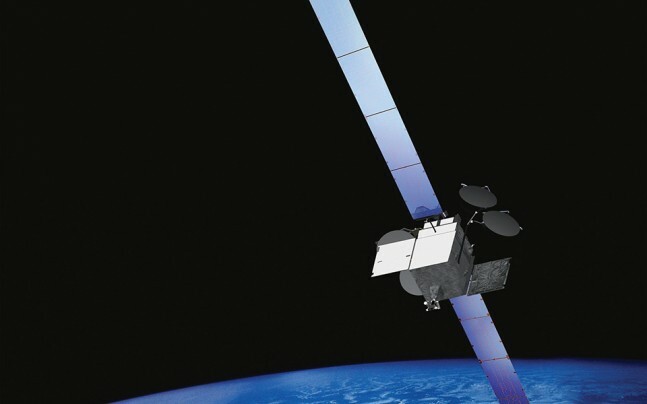 The operational life of the satellite is planned to be 15 years. Boeing created the spacecraft based on its 702HP satellite platform, which is the higher-powered configurations of the base 702 satellite platform. 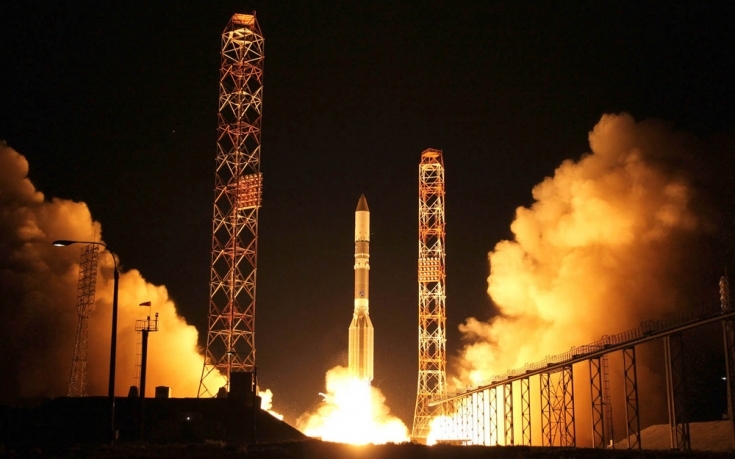 The Proton-M rocket that will carry the craft is powered at liftoff by six RD-275M engines. After a burn time of just over 2 minutes, the second stage will cut in and burn for 3 more minutes using its cluster of four engines. After nine minutes of flight, the second stage will be jettisoned and the Briz-M upper stage, along with the MexSat-1 payload, will begin the next phase of the flight. The Briz-M upper stage uses an S5.98 engine to propel payload to its final operational location, and will use a series of controlled burns to transfer the spacecraft to station. In some cases, the burns will be close to 18 minutes in duration. With the long burn times come a few long coasting intervals, the longest of which is just over four hours. The launch of MexSat-1 was originally scheduled for April 29, 2015, but the launch was postponed when Boeing asked for more time to inspect the vehicle for possible defects. An anomaly had been found on MexSat-1’s twin, Morelos-3, so Boeing decided to take the precautionary step to verify the problem did not exist on MexSat-1 as well. After troubleshooting the L-band system, the spacecraft was cleared for launch and the new date was set. That’s what Mexico needs – better security. After all, they have a real problem on the U.S. border with illegal Americans sneaking into Mexico !! I am wondering if this satellite belongs to Carlos Slim- that richest guy on planet Earth. Yet another launch failure. Russia badly needs to get its act back together. There goes a quarter billion dollars. Ooops.